The Walt Disney World Resort is filled with literally hundreds of restaurants and food service counters that offer so much more than Theme Park Food. 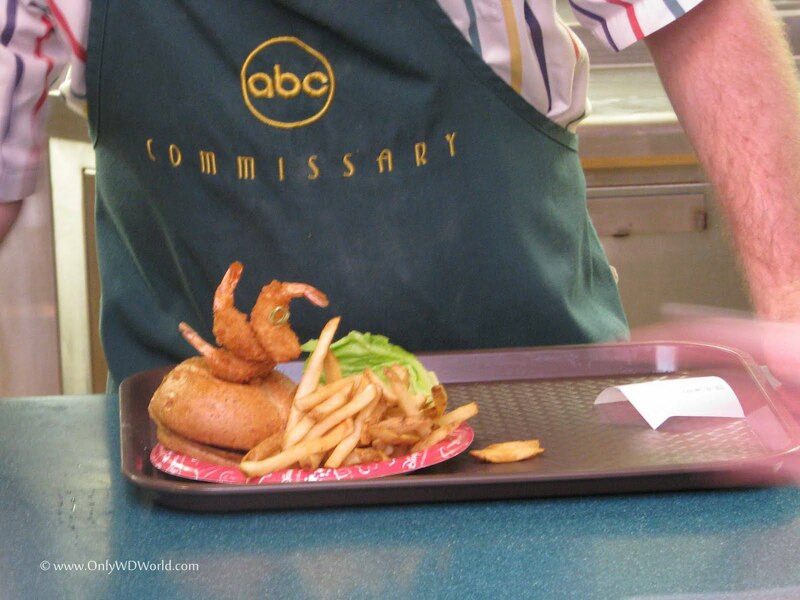 In this edition of Disney World Hidden Treats we look at the Angus Burger Crowned With Shrimp found at Disney's Hollywood Studios in the ABC Commissary. Angus burgers are all the rage now, so it is not surprising that restaurants are trying to find out how to "Plus" the Angus Burger. Disney World, which has had Angus Burgers on the menu at several locations for over a year, now has a new Hidden Treat that got our attention. This new creation takes the 1/3 pound Angus Burger to a new level. It adds three fried shrimps attached to the top of the bun with a spear. This new sandwich certainly gets your attention when you see it and it was very popular during our visit to the ABC Commissary at Disney's Hollywood Studios. 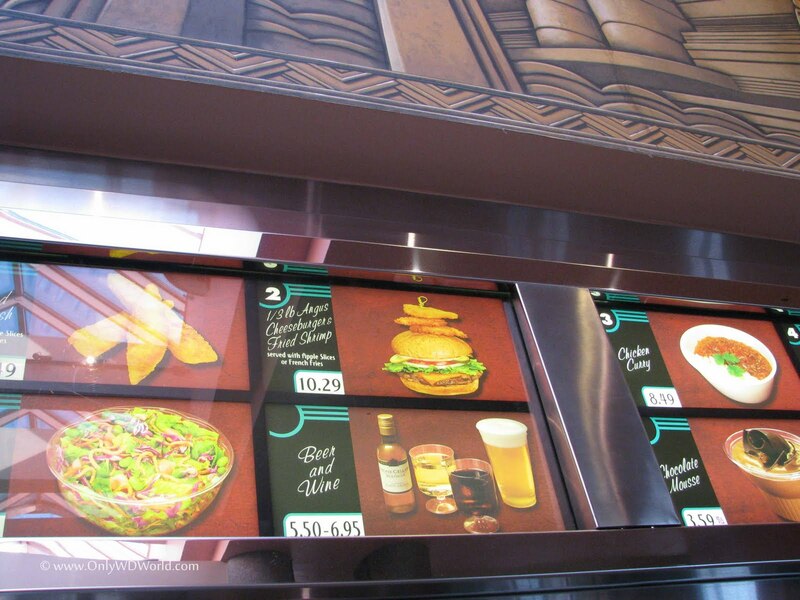 It is only the menu for $10.29 with Fries or you can use a Disney Dining Plan Quick Service Credit. The shrimp certainly outdoes the previous attempt to "Plus" the Angus Burger by adding an onion ring under the bun instead of raw or sauteed onions. The only knock we have is that the shrimp really doesn't become part of the sandwich and needs to be eaten separately. Regardless, we give this new sandwich high marks for getting our attention and showing creativity in a restaurant that is not considered on the cutting edge of Disney World Cuisine. 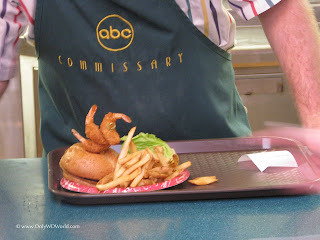 If you want to turn heads at Disney's Hollywood Studios try the new Angus Burger Crowned With Shrimp at the ABC Commissary. 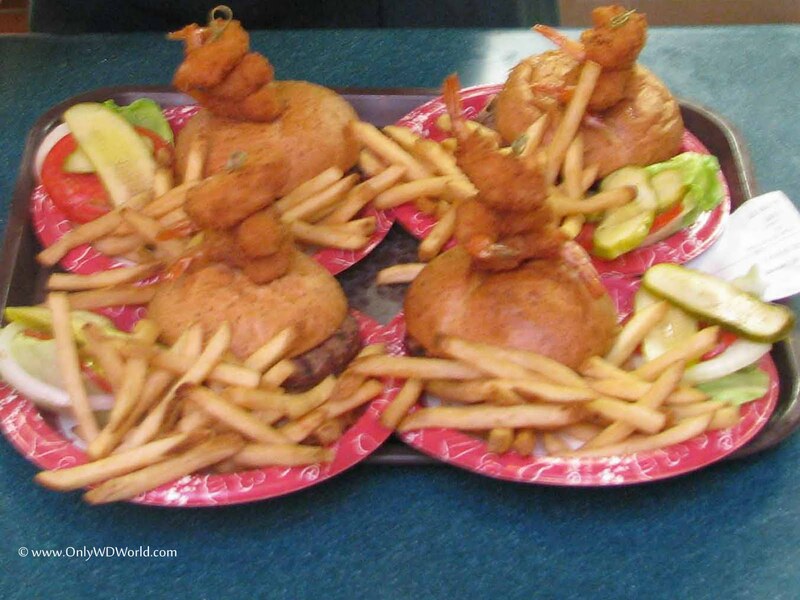 1 comments to "Disney World Hidden Treats: Angus Burger Crowned With Shrimp"